My Son, I’ve been told, has a brilliant mind. When he’s “in the zone” he could baffle you with brilliance and make you wonder where all the knowledge comes from. However, far too often, he seems not to be in that zone, unmotivated, uninterested and unable to engage. Over time it has become more and more clear that unless he is stimulated by the subject matter, he totally switches off but, when the opposite is true, and he is engaged, he devours information, retains it with ease and excels in whatever it is he is doing. Over the years I have been involved in many “successful” Lean Lab projects where productivity improvements were then main focus and Lean was synonymous with rationalisation and cost reduction. Teams dutifully implemented measures such as workload levelling, queuing, daily huddles, 5S and visual management boards. Each of these measures made perfect sense and, at the time, seemed well received. The performance of the lab improved, sometimes drastically, and the consultant (me) marched off into the sunset with another great victory under my belt. However, based on follow up conversations with lab members, it became apparent that in some cases, the great “solutions” that we implemented were not sustained, with many of the measures being abandoned over time. Since embarking on a new venture I have started to consider why this was. Were the teams engaged where the Leam implementation did/ did not work? Did I do enough to engage the team during the project? What does engaging a team really mean and how do you achieve it? The answer to the first question was quite simple to answer. Invariably, when a team was fully engaged and interested in making things better for themselves, then the project generally went more smoothly, had better results and the lab sustained the improvement over time. And the opposite was also true most of the time. Poor engagement and lack of interest led to difficult implementations, poorer results and less sustainability. The answer to the second question was also quite easy. The answer was no. At the time as an external consultant I did not see motivation of the employees as part of my role. That was the role of the lab leadership. When faced with a project team that was distant and disengaged, I picked up the slack, did the analysis, designed the solutions and led the implementation. I didn’t tackle “the elephant in the room” and neither did anyone else. Now on to the difficult one, number three. What does engaging a team really mean and how do you achieve it? For me engaging a team means having a group of people who understand the need to change, have ownership of the change, have pride in what they are doing, and are passionate about seeing things through. If people are not, or don’t feel, part of the process, they’re far less likely to buy into it properly. Looking back, I always felt I was being inclusive by having a core project team and then rolling the final solution out to the entire lab but in reality, the solution was being imposed upon them to a certain degree and while it might have been a good solution, it was not their solution. I believe that to fully engage a team to make an important change you must give up control. You must ask the team and their management to reflect on WHY they need to change and you must discuss each individual’s motivation for change in an open and honest way. It is far better to get the dissent out in the open and have the conversation about it before you embark on a transformation journey. In recent projects I have changed my approach quite drastically. I now focus a lot of effort on involving analysts from the beginning. Having them as an integral part of the design as well as the implementation process not only gives them a deeper understanding of the solution, thus allowing them to make adjustments and updates as required, it also engenders a sense of real ownership which greatly enhances the sustainability of the change. And they are visibly happier and more fulfilled in doing so. 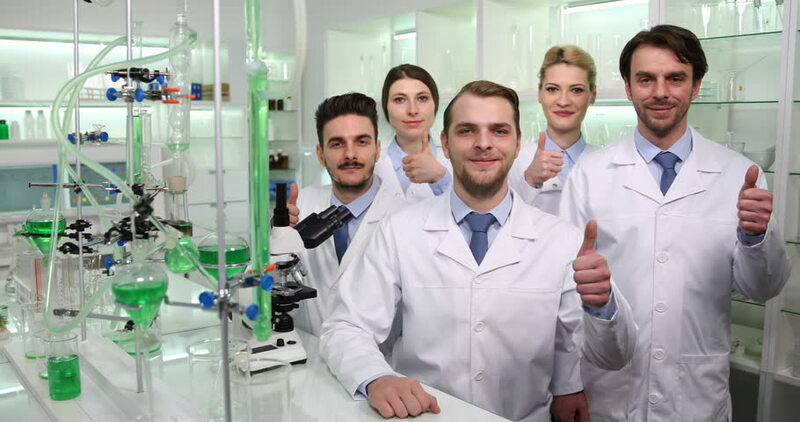 The people that I have met in lab work over the years have greatly enriched my career. By and large they are nice people, well-educated and diligent. They are problem solvers and innovators. Modern management structures have conspired to herd them all into windowless rooms and tell them to repeat the same tasks over and over without error. And by doing so they have taken away the joy that Science and solving problems can bring. Changing your processes to make them better requires innovation and problem solving skills, and you should challenge your valuable internal resources to remove the obstacles from their way and deliver measurable improvements for the business and the people.